It’s Dutch Oven Season! WE LOVE LOVE LOVE dutch oven season! This is a super easy and quick dutch oven dessert. 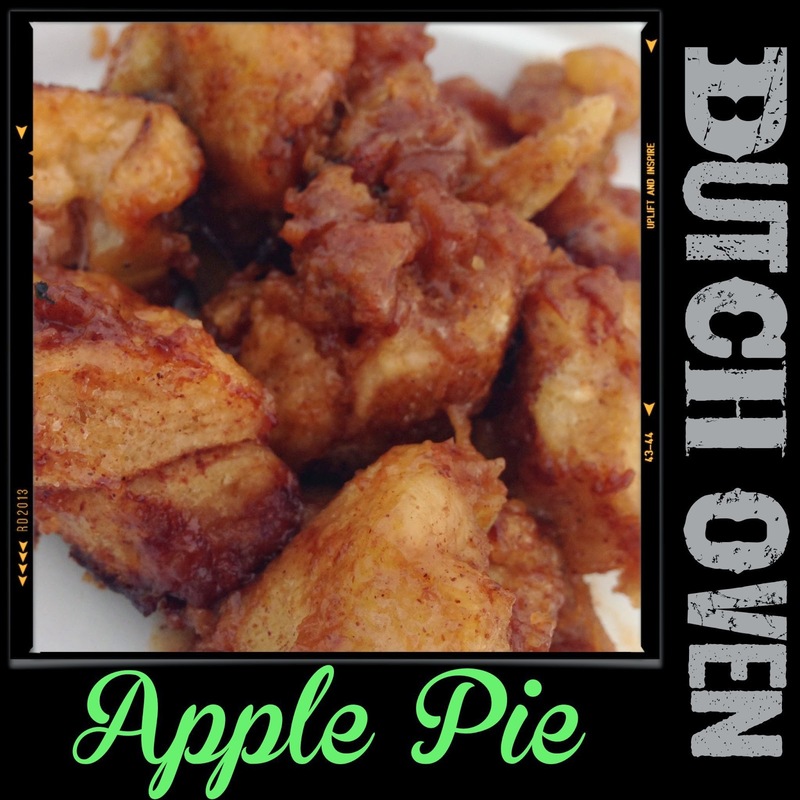 Our family goes dutch oven cooking on Sunday afternoons for Sunday dinner and we are always looking for the best recipes and this is one of my favorites. I know you’ll love it!! 1. It’s so much easier to prepare most of the stuff at home, so we mixed together the brown sugar, cinnamon and crushed graham crackers together in a ziploc bag before we left. 2. In another ziploc bag mix together the cream cheese frosting and the carmel ice cream topping. 3. When you get to the camp site we greased the dutch oven with butter, then cut up the cold cinnamon rolls into about 6 different chunks per roll. Then spread them along the bottom. 4. Dice the apples and put them in the ziploc bag with the brown sugar, cinnamon, and graham cracker mix. Cover all the apples completely, then put them on top of the cinnamon rolls. 5. Then you want to cook it at about 350 degrees for about 25-30 minutes. Make sure you put less briquettes on bottom than on top, you do not want to burn the dessert. 6. When you are ready to eat dump on the carmel icing and serve warm!! It’s super good the kids kept coming back for more! This looks delicious! I must try it. Thank you for sharing in the GRAND Social, Momma Kim. For a couple weeks I've wondered why this group of young gals linked up to a GRANDPARENT linky. You look so young that I didn't even consider you might be a grandma! 😀 Just read your "about" this time and was surprised as heck. Lovely girls here — of, surprisingly, ALL ages! I'm really impressed that people still cook over coals — and an apple pie, no less! Sounds, and looks delicious. But, from a UK person, what do YOU call a Dutch Oven, please? I know what I call one,but it may be different on the other side of "The Pond". Nice to meet you. Are you asking what a Dutch Oven is? Oh yumm! Thanks for a delicious visit via the Grand Social.